Four years ago, two friends (Karen Cheng and Thao Nguyen) who share a passion for Asian noodles decided to start a business making nutritious Pho (a traditional Vietnamese noodle soup packed with rice noodles, fresh herbs and spices) using a recipe handed down to Thao from her grandmother in Vietnam. Together, they formed Star Anise Foods (a tribute to anise – one of the key ingredients that gives Pho its distinctive complex flavor) and began to source natural ingredients of the best quality from Vietnamese farmers to make a nutritious noodle dish that can be enjoyed any time of the day and any way you like – plain, with vegetables, fish, chicken, or meat. Shiitake Mushroom: Brown rice noodles and a flavor packet (organic star anise, organic Saigon cinnamon, Shiitake mushroom, spring onion, black cardamom, and ginger). 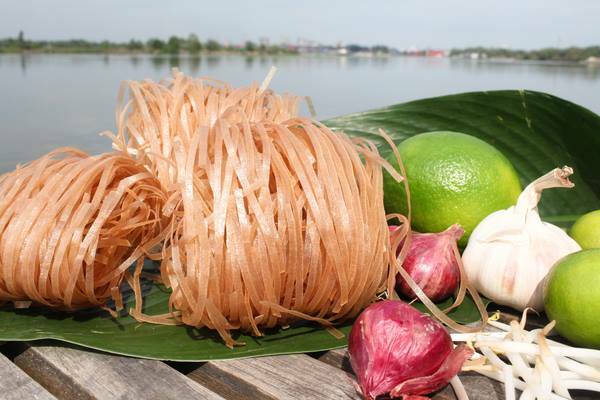 Zesty Ginger: Brown rice noodles and a flavor packet (organic star anise, organic Saigon cinnamon, ginger, black cardamom, and spring onion). Garlic Goodness: Brown rice noodles and a flavor packet (organic star anise, organic Saigon cinnamon, garlic, ginger, spring onion, and black cardamom). To make Pho, place 4 cups (32 ounces) of water, vegetable, beef, fish or chicken broth in a saucepan, add the spice packet and bring to a boil. 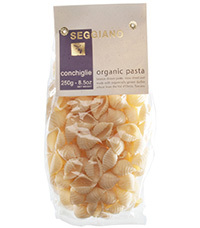 Add the noodles and heat for 1 minute (I cooked the noodles for 2 minutes because I prefer a softer noodle). Add 1 cup of chopped cilantro and be creative by adding fresh cooked mushrooms (I added 8 ounces of sliced and quartered browned mushrooms), sautéed spinach (I added 12 ounces of cooked baby spinach), or any variety of cooked vegetables (chopped scallions are a delicious addition), beef, chicken, or fish (many people prefer prawns or shrimps).Add a slice of lime or squeeze a few wedges of lime over the Pho and enjoy. Resist the urge to add salt; instead savor the flavor of the spices – especially the anise, cardamom, ginger and cinnamon. It’s that simple – an all natural flavorful soup that anyone can make. 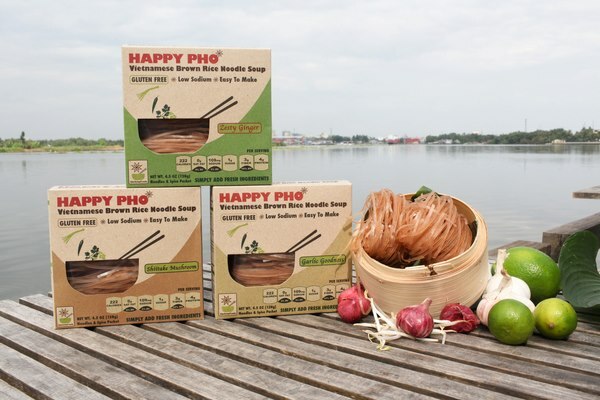 Happy Pho boxes can be purchased at fine grocery stores nationwide (see the company website for a list of locations by state) or by purchasing on-line through www.amazon.com. Each 4.5 ounce 2-serving box sells for approximately $5 (with shipping free for Amazon Prime members).